If you or a loved one have been arrested in Fulton County, GA, you need the services of a Fulton County bail bonds agent now. After an arrest, law enforcement books the detainee, who is quickly transferred from the police station to the jail. If you contact Anytime Bail Bonding, Inc. immediately after an arrest, we may be able to get you or your loved one out before the transfer to jail. Call Anytime Bail Bonding, Inc. now at (404) 745-9929. We are located at 74-B Spring Street SW, Atlanta, GA 30303. The bail bonds process in Fulton County can be complicated and confusing without the guidance of a trusted bail bondsman. After a Fulton County arrest, the arresting agency will take the suspect to their headquarters and often try to question the suspect. Suspects should always seek legal advice before answering questions. Once the government charges a detainee, a bail hearing is conducted. The judge determines bail based on the likelihood that the defendant will appear in court. Once bail is set, we can arrange for a release in a matter of hours, completing the bail bonds process in Fulton County. The U.S. Constitution guarantees the right to bail. Every person must be considered innocent until proven guilty in the eyes of the law. Because of these constitutional protections, no person can be subjected to punishment unless convicted. People are only to be held in jail if they pose a risk of fleeing to evade prosecution. As required by federal law, bail bonds in Fulton County are set on the basis of the court’s judgment of the defendant’s willingness to show up in court. We only employ dedicated bondsmen who are licensed to provide bonding from any facility in Fulton County, including all state and federal detention centers and all law enforcement stations. A Fulton County bail bondsman is available 24/7. All of our staff is made up of dedicated professionals who understand the importance of getting you or your loved one out of jail now. Our bondsmen pride themselves on getting good people out of jail in Fulton County. Our bail bondsmen in Fulton County handle all types of bail bonds. Common types include misdemeanor and DUI/DWI bail bonds. Whether you had a few too many at the bar and tried to drive home or had a few too many and got into an altercation, we can have you back home that night. We also handle all felony bail bonds, including high dollar bail bonds, as well as drug possession bail bonds. Don’t stay in jail any longer. Anytime Bail Bonding, Inc. proudly serves as the Fulton County bail bonds company the community relies on. Our staff works hard to help good people remain free. When a person is locked in jail, he or she loses the ability to work and be part of their family. No one deserves this when they haven’t even been convicted of a crime. 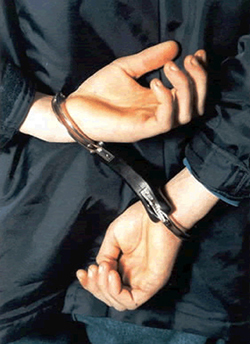 To protect your or your loved one’s freedom and reputation, we provide rapid bail bonding services. Simply call us if you need information or for help with bail bonds in Fulton County at (404) 745-9929 because when your freedom is on the line, you can count on us any time.